Which Unit Size Do You Need? 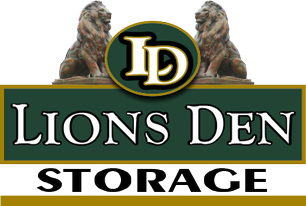 Get a FREE Self Storage Quote! 25 standard file boxes and small file cabinets. Small furnishings, chairs, mattress set and several boxes. 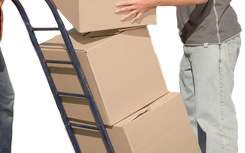 Small home furnishings, ladders, boxes, bicycles. 50 standard file boxes and small office furniture. Small furnishings, patio furniture, boxes, sofa, desk, washer and dryer. 65 standard file boxes and small office furniture. Furnishings for a small one bedroom apartment, boxes. 80 standard file boxes, desks and chairs. Furnishings for a small one bedroom apartment, boxes, home office equipment. 100 standard file boxes, desks and chairs. Furnishings one bedroom apartment, lawn and garden equipment, boxes. 155 standard file boxes, desks, chairs and file cabinets. Small home furnishings, ladders, washer and dryer, car or pick-up truck, shop power tools. 215 standard file boxes and office furniture. Small home furnishings, home office equipment, ladders, a small boat, washer and dryer, car or pick-up truck. 305 standard file boxes and office furniture. Small home furnishings, ladders, a small boat, washer and dryer, car or pick-up truck. 415 standard file boxes and office furniture. Home furnishings, ladders, a small boat, washer and dryer, car or pick-up truck, power tools. 515 standard file boxes and office furniture.